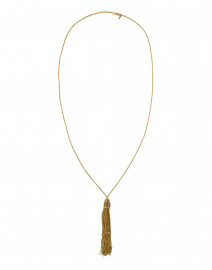 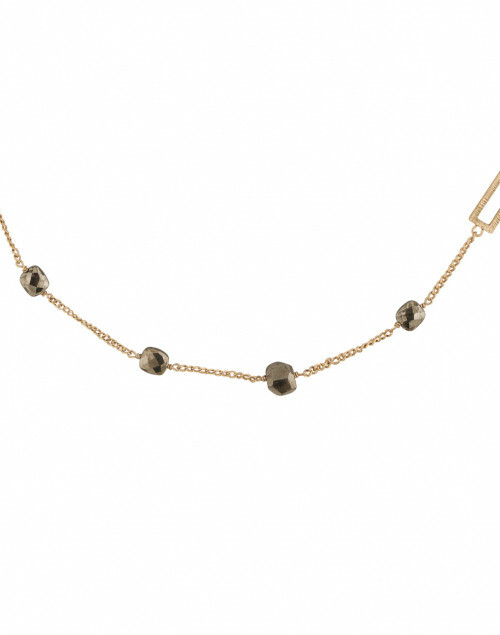 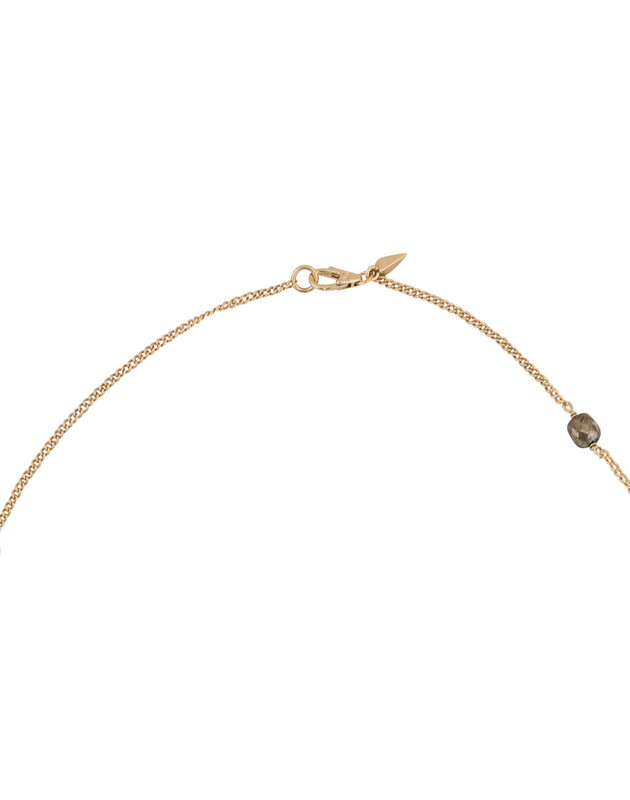 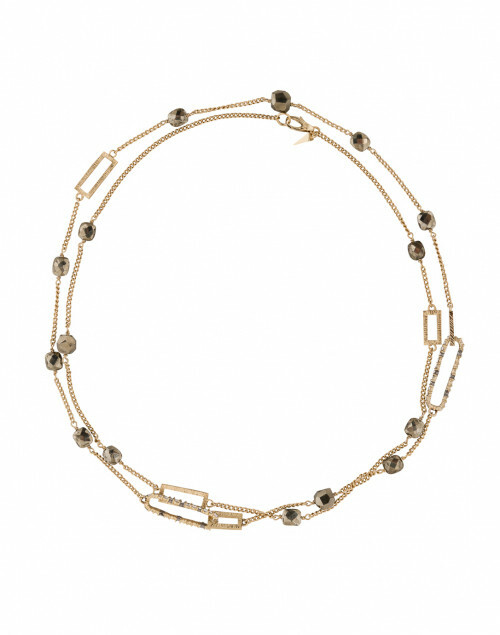 Alexis Bittar's semi-precious station necklace is versatile and unique. 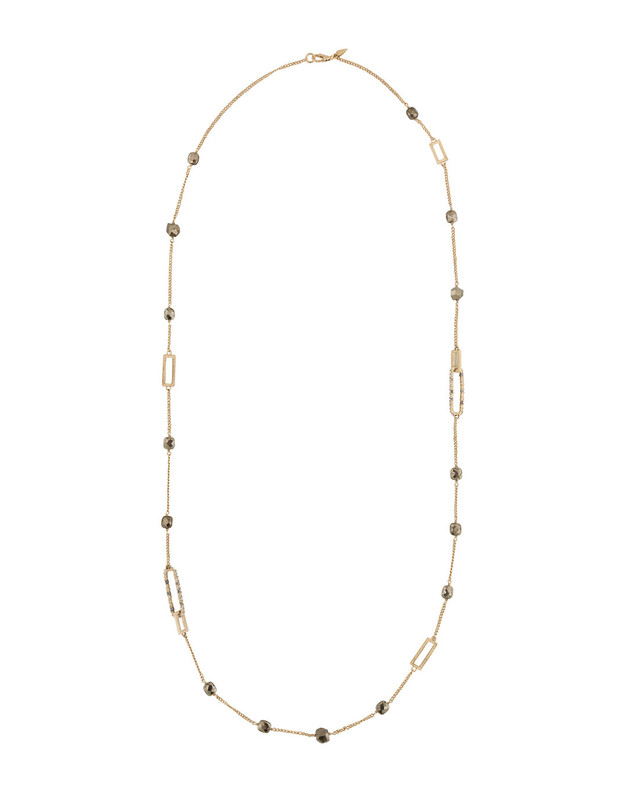 Composed of various gems and beads made from 10 karat gold plating, crystal, and shell based pearl, this necklace is a a subtle show stopper, and can be worn fully extended for an effortless touch to a daytime look, or looped over for a short, chic style. 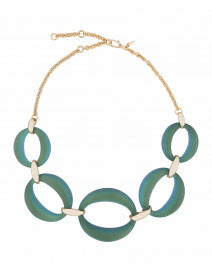 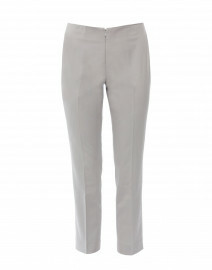 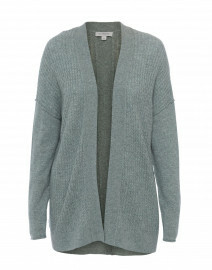 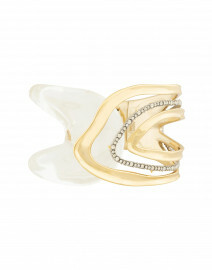 Pair with a neutral tone handbag and long cardigan sweater for a simply stunning look.